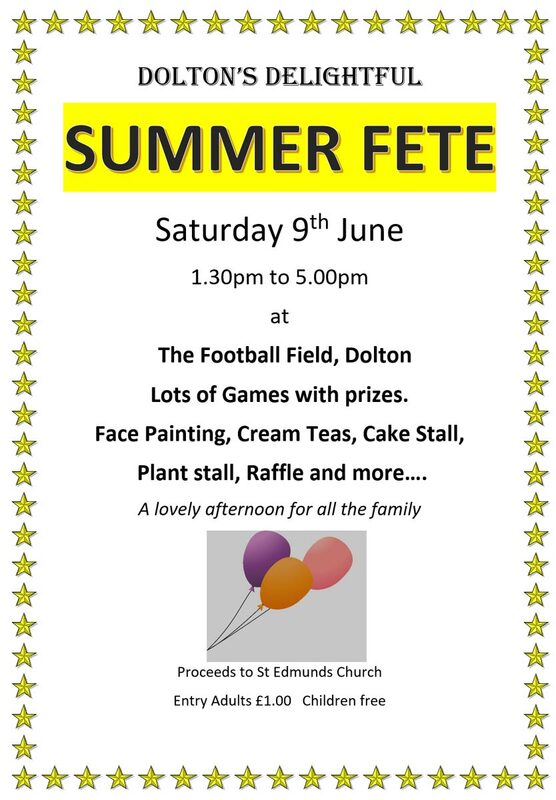 Summer Fete Saturday June 9th! Lots of Games with prizes. Face Painting, Cream Teas, Cake Stall, Plant stall, Raffle and more….